Comes with 2mm waxed cotton cord and optional snap. Ideal as a single unit for computer, electrical, and theater rooms. Use wherever there is Wi-Fi, EMF or microwave radiation. A very powerful device designed to balance large areas. These are easily sent out via regular postage so shipping is minimal. We now have metal free, Wearable Enhancers. 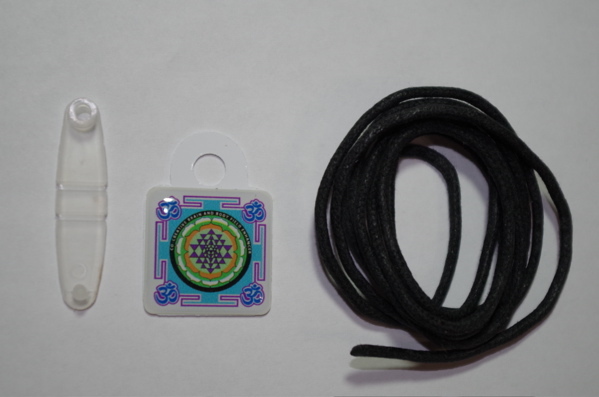 They come with a 2mm waxed cotton cord and a snap-on loop for those who want to use a chain instead. They are normally $23.50 each, and qualify for the quantity discount with other Enhancer purchases. Please contact me directly for more information about a discount when purchasing multiple items. I've tested out the cord and worn one for 18 months 24/7. It is strong enough for any conditions including showering and sleeping. It is designed to go either under or over the clothing depending on your preference. 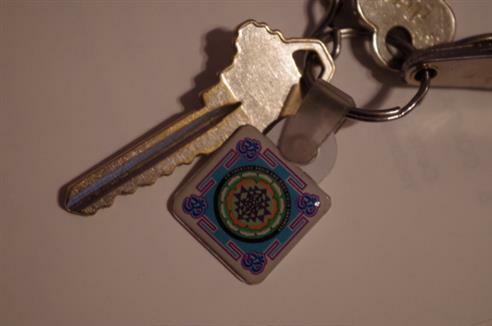 The Enhancer can also be attached to your keys as shown. Our "Vital Field" - Bio-energetics studies the impact of natural objects, such as minerals and crystals, on the energetic bodies of living beings, which includes our subtle energy centers. We define bio-energetics as the science that studies these "vital fields." An energetic field known as our "aura" fans out from our body like ripples on a pond. In most people, the vital field extends out from the body about five to fifteen feet but is most powerful closest to the body. Our vital fields are affected by any change in our internal or external environment, including food, water, toxic exposures, emotions, lifestyle, and overall health. If there is a disruptive pattern reducing the vital field, it can lead to physical or emotional illness. Chronic exposure to electromagnetic radiation is one of those disruptors. Many people are unaware of how EMFs are affecting them until they are away from them for a while. 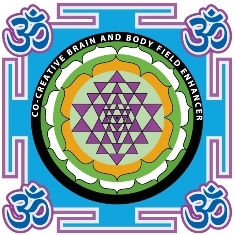 The Co-Creative Brain and Body Field Enhancer works to realign and optimize the body's vital field. Essentially, it transforms artificial EMFs into biologically compatible frequencies, thereby neutralizing their negative impact. In other words, it transforms harmful radiationâ€”not by eliminating it but by changing its properties. Are you making friends or enemies? Your electric/electronic devices will work with you as they work for you. If you are blocking, shielding, or suppressing your phone, computer or other electric appliance , you are in essence telling it you don't like the way it works. Is it any wonder that its emissions harm you. Man created it the way it is. Also remember if you try to block in these energy patterns you are forcing the device into an unnatural operating mode and it will either expire/fail prematurely, or it will find a way around these shields. 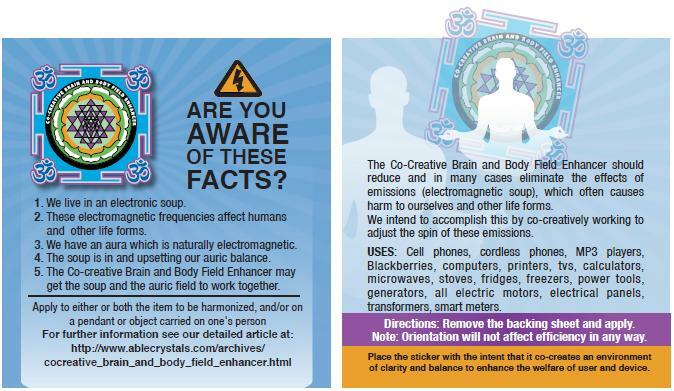 Be aware also that you are living in an electromagnetic soup which is unnatural for your electrochemical body.This is likely causing undue stress on your body including its auric field. 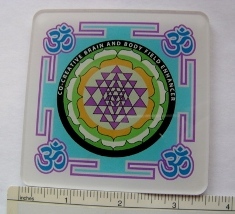 The Co-Creative Brain and Body Field Enhancer is designed to adjust the spin of these energies to a neutral or even positive spin. Try one today and feel the difference. The Enhancer is now also available in a 3.5" x 3.5" Large model (not adhesive) for use in computer and electrical rooms as well as in areas where the EMF interference levels are extra high. "I have been using the enhancer stickers on power tools and electronic devices to good effect. I really noticed a difference. When the Plate Enhancer came out I decided to add it. "We have a few EMF devices in our home , so I was not sure the that Enhancer would be of any benefit. I was totally surprised to find out what a difference it made! It generated a really uplifting energy for the entire house. The Enhancer accomplished far more than all the other devices combined. I would not want to be without it." -- H.B.